Join us for The Roundtable Live at Planet Underground! 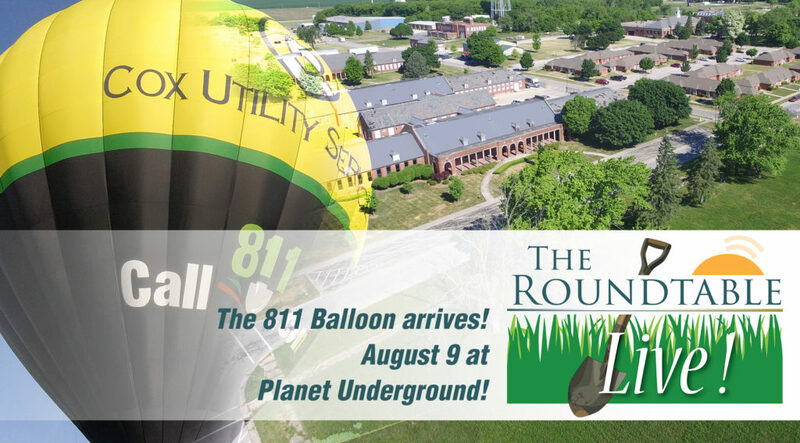 This inaugural event is the only National 811 Day event that features “a picnic at a jobsite” featuring excavations of live underground utilities. Our jobsite will consist of utility contractors using their crews and equipment to install underground utilities. Utilizing various construction, inspection and safety tools, The Roundtable Live! attendees can participate and learn about excavation safety hands-on. Utility contractors, product manufacturers and distributors, locators, engineers and others will be onsite to answer questions on safe jobsite practices and demonstrate their products and services. For your $45 meal ticket, you’ll have the chance to watch and participate in live underground utility construction: learn about site documentation, locating, excavation and more! Hog roast, sides and beverages available throughout the day. The Roundtable Live! is not a trade show; it is a gathering of professionals that build and maintain our region’s underground utility infrastructure. Be a part of this opportunity to learn from each other in a casual and realistic setting.